Elephant Sport » Who is the 2016 team of the year? Who is the 2016 team of the year? 2016 has been yet another fantastic year of sport, one well worth celebrating, be it the remarkable story of the underdog or persistent dominance at the top level. 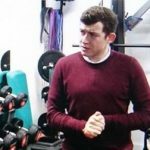 Below are Elephant Sport’s top five teams of the year, which range from the record breaking Team GB Women’s Hockey squad, how a rugby-loving nation went football mad and the fairytale story of Leicester City. The Mercedes F1 team sealed their third successive double of Constructors’ and Drivers’ World Championships in 2016. The team clinched both accolades in 2014 and 2015, and now 2016 when the constructor’s crown was sealed in Japan and Nico Rosberg clinched the driver’s title, in the last race of the season at Abu-Dhabi. Not only are Mercedes on a fantastic run spanning three years, in 2016 they managed to break several records on the way. The German works team won a record 19 of the 21 races in the season, helping them to notch up another record; an impressive tally of 765 points in a single campaign. They also bagged the most poles in a season; 20, one away from a whole season of Mercedes poles. Their 10 consecutive race wins could have been another history-maker; if Lewis Hamilton’s engine wouldn’t have failed in Malaysia (effectively costing him the drivers trophy), Mercedes would have 16 consecutive race wins. After helping to secure the constructors championship with a win in Japan, Rosberg said: “I’ve been here since day one of this project in 2010 and it’s really phenomenal the journey we’ve taken together towards being the best team in Formula 1. The standards Mercedes have set in 2016 will take some beating. 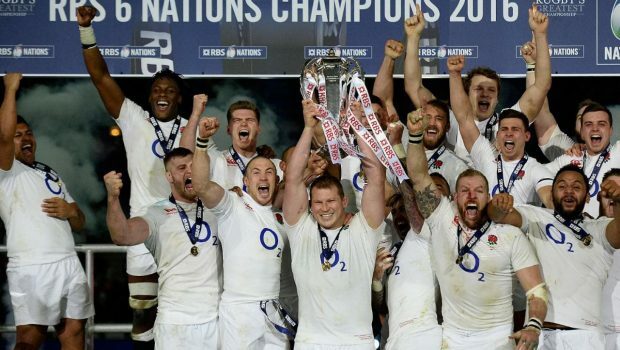 A year on from the disappointment of a dismal home World Cup, England rugby union’s squad completed a perfect 2016, equalling their record of 14 successive wins, set in 2003. Eddie Jones’s side equalled that mark by achieving their highest ever score over rivals Australia at Twickenham; a 37-21 win on December 3. 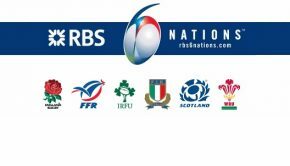 England can surpass their current record in February 2017, when they face France at Twickenham in the RBS Six Nations opening fixture. Since Jones’s arrival in November 2015, England have made tremendous progress, with a Six Nations Grand Slam, a whitewash of Australia in the summer Test series down under, and a first win in a decade against South Africa. According to the wily Australian, “10-15 English players” could feature in the 2017 British & Irish Lions tour to New Zealand. “We are not looking at records, just the next game. 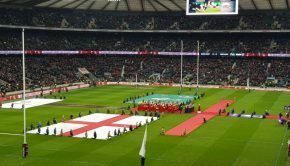 But we can draw a line under this year with a good victory against a quality side [Australia],” England captain Dylan Hartley told BBC 5 Live. “I’m very proud of the guys over the last few weeks, and it’s nice to go back to our clubs knowing we have done English rugby and the shirt proud. 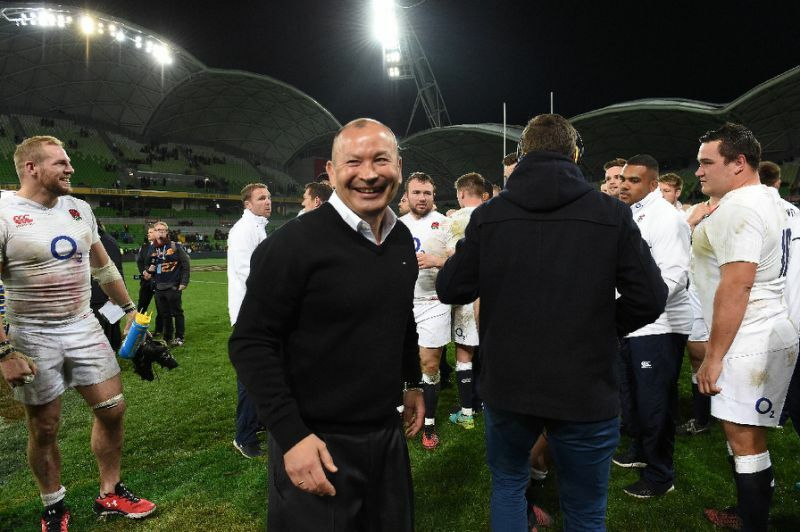 “We leave it in a good place until the Six Nations,” added Hartley. 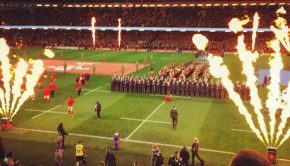 A rugby-loving nation went football mad over the summer, when the Welsh national side qualified for their first major tournament since 1958 and outstandingly reached their first ever major semi-final. 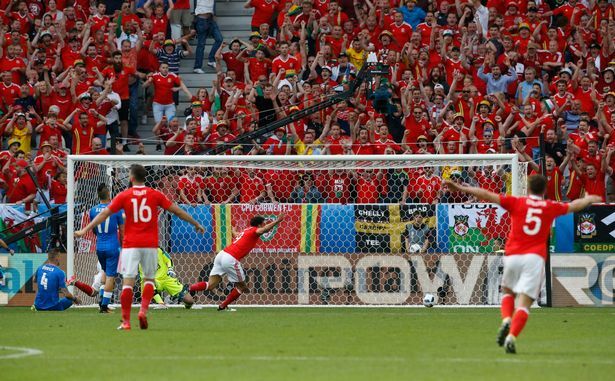 More than half the population watched the Euro 2016 semi-final defeat to Portugal, beating the record set for a sporting event, which was in fact only previously set by the Welsh in their Euro 2016 quarter final victory over Belgium. It was only five years ago that Wales were ranked 117 in the world, and in 2016 they finish an impressive 12th according to Fifa’s rankings; one place above England. 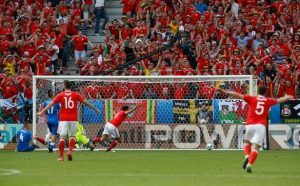 Thanks to their successful surge, Wales were seeded for the 2018 World Cup qualifying campaign, which could set them in a great position to qualifying for only their third major finals next year. Star man Gareth Bale has also been nominated for the 2016 Footballer of the Year award. The Real Madrid striker scored three goals at Euro 2016, making him Wales’ all-time top goal scorer in major tournaments. Wales manager Chris Coleman told the Evening Standard that after 2016’s success the nation must “not get carried away”. “We have had some dark times when we have dropped outside the top 100. So when you start playing around with the top 10, that’s a good feeling. 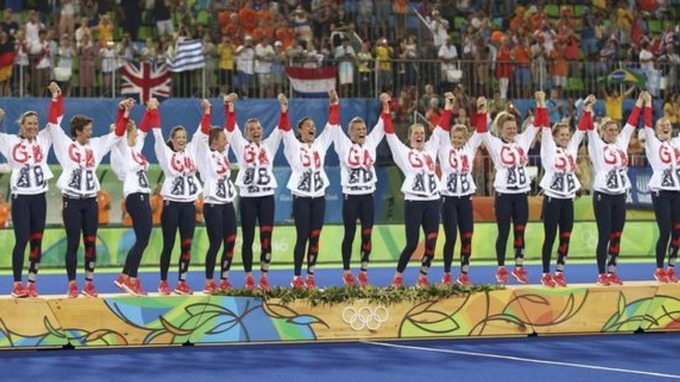 At the 2016 Summer Olympics in Rio, Team GB’s women’s hockey squad became history-makers by winning the nation’s first-ever female field hockey gold. 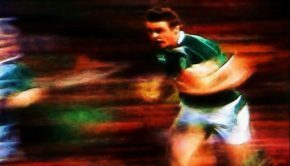 Danny Kerry’s squad were huge underdogs when they faced the Netherlands in the final. The Dutch comfortably won gold in both the 2008 Olympics (Beijing) and 2012 (London). They were also ranked number one in the world. The final finished 3-3 in normal time, with Britain’s keeper Maddie Hinch making a string of remarkable saves. And the Dutch could not beat Hinch in the resulting shootout, which Britain won 2-0. Helen Richardson-Walsh and Hollie Webb scored the decisive penalties to seal a famous victory. Captain Kate Richardson-Walsh and wife Helen Richardson-Walsh became the first married couple to win gold for Britain since Cyril and Dorothy Wright in the sailing in 1920. After the game former Team GB men’s hockey bronze medallist Simon Moore told the BBC: “I am genuinely struggling to put this result into words. “GB were under pressure for huge chunks but we thought if it went to penalties we could win. Fair play to Maddie Hinch, just incredible. And according to the University of the Arts hockey president Dhalyn Warren, the sport has already seen a huge “rise in participation”. 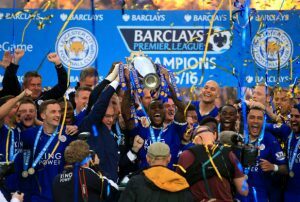 In at number one; the greatest underdog story of all time; in May 2016 Leicester City were remarkably and deservedly crowned champions of England, and not one of us predicted it. Having pulled in manager Claudio Ranieri, sacked from the Greece national side in November 2014, the whole of England expected to see Leicester relegated back to the Championship from which they were promoted in 2014; especially after flirting with relegation in 2015. The Foxes are now in the elite club of only six sides to have won the Premier League since its inception in 1992. A number of newspapers described their title win as the greatest sporting upset of all time. Not forgetting the huge record pay outs by the bookmakers on early-season odds of 5,000-1. Star striker Jamie Vardy also broke a record; scoring 11 goals in 11 consecutive league games. Vardy was also the ninth player to score 20 top flight goals in a season. Ranieri’s side had the fewest away defeats in any top flight season; defeated only twice on their travels. The club produced a further record for the most consecutive wins in the top flight (five). The club have also continued their underdog story; successfully progressing into the Champions League knock-out stages. Former Foxes midfielder Robbie Savage told the BBC: “I’m speechless, it is unbelievable. I’ve seen England win the Ashes and get OBEs and MBEs. Overall the fairytale of Leicester City makes this side, the team of the year for 2016.